Fr. 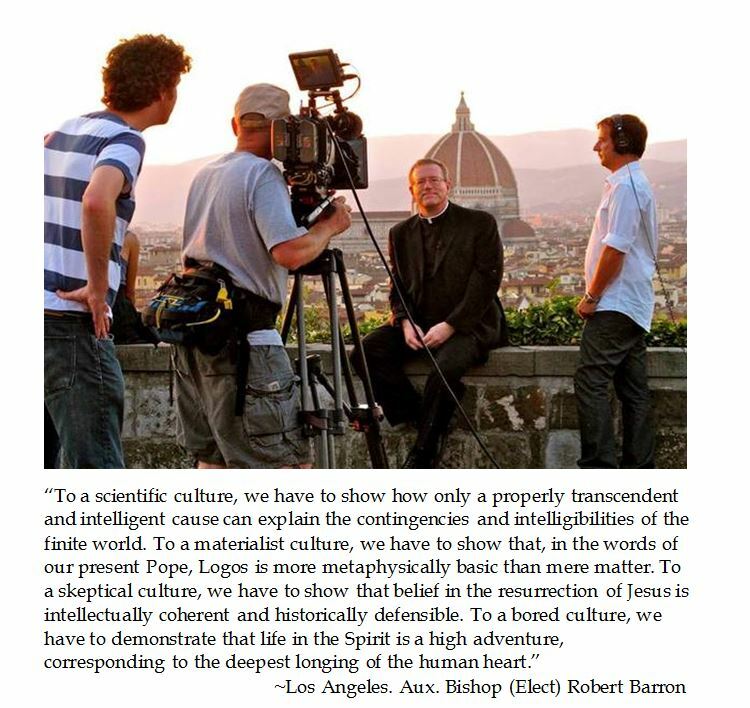 Robert Barron, the director of the Archdiocese of Chicago's Mundelein Seminary and the force behind the successful 10 hour series "Catholicism: A Journey to the Heart of the Faith" (2011), has been named by Pope Francis as an Auxiliary Bishop for the Diocese of Los Angeles. In Whispers in the Loggia, veteran Catholic chronicler Rocco Palmo announced this appointment as "Bishop Barron Goes Hollywood." The Los Angeles Diocese is the largest in the United States ministering to five million Catholics. Each of the three Los Angeles auxiliary bishops pastoral areas are responsible for over one million faithful, which is greater than many entire diocese. While Archbishop José Gomez tenure as Coadjunctor (with Cardinal Roger Mahoney) as Archbishop of Los Angeles has been seen to be tending to a diocese that is 70% Hispanic, having a "Hollywood" bishop may serve to invigorate the New Evangelization. It is expected that Barron's ordination will occur sometime before Pope Francis' visit to America in late September.